When it comes to motor vehicles, it is generally hard to find the words 'best-selling', 'affordable' and 'Italian cars' used in the same sentence. 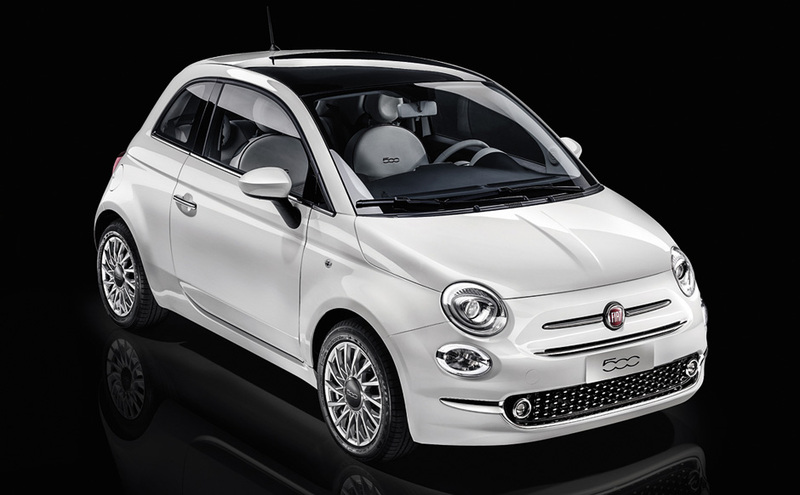 Sales of the Fiat 500 have been on a free-fall since it was launched in 2011. The exotic-looking, mid-engined 4C by Alfa Romeo does have a better sales record, but it still uncompetitive when compared to other cars in the same price range. The Giulia, which is touted as an attempt to enter the mainstream, will potentially improve the sales record of Alfa, but recurring delays have made customer deliveries very difficult. The name 'Stelvio' is derived from the name of the world-renowned mountain pass in Italy that we also consider to be the best road that we have ever experienced while driving a tractor. The car, which shares the same platform as the Giulia, is designed using aluminum on a number of body parts like brake calipers, rear and front sub-frames, fenders, doors and the front shock towers. In addition, aluminum is also used to make the multilink suspension assemblies in the rear and the control-arm front. To save some more on weight, sections of the rear cross member have been manufactured using composite moldings. The Stelvio, just like the Giulia, is constructed in a manner that aims at undercutting most of its competitors at the weighing scales. The car will come in three levels—Stelvio (base model), the Ti and the premium Quadrifoglio. The name 'Quadrifoglio' comes from an idiomatic Italian phrase that means 'four-clover'. The term has come to be used for premium Alfa models, a trend that goes back to the 60’s. The Ti has adaptive dampers as optional, but this is a standard feature on the Quadrifoglio. A torque-vectoring rear-axle differential is also standard on the Quadrifoglio. This is where things get interesting. The basic Stelvio and the Ti are both equipped with a similar 2,000 cc, direct injection four-cylinder engine that has an aluminum head and block. It also comes with an inter-cooler and twin-scroll turbocharger that enables it to produce 280 hp at 5200 rpm. The vehicle has a torque of 306 pounds per feet from 2250 rpm to 4500 rpm. Stelvio also employs the fuel-saving MultiAir system by Fiat which does away with the throttle plate and instead incorporates a variable intake-valve timing/lift. This enables the vehicle to reduce pumping losses. The Quadrifoglio has an aluminum twin-turbocharged V-6, 2,900 cc engine that is similar to the one used in the Giulia Q-fog. The engine generates 505 hp with a torque of 443 pounds-per-foot. According to Alfa, the Stelvio can go from zero to 60 miles per hour in 3.9 seconds and its top speed is 177 miles per hour. This makes it faster than a Ford Mustang GT or a Chevrolet Camaro SS, but it is a disappointing 14 miles per hour slower than the Giulia Q-fog(Quadrifoglio). However, such comparisons may be easy to downplay when taking into account the performance record and traditions that are behind the engine that powers both cars. The six valve engine, in this case, is basically a scaled-down version of the V-8 twin turbo that is used in vehicles such as the Ferrari GTC4Lusso, 488 and California T, even including such details as a ninety-degree bank angle. As a matter of fact, the Alfa is equipped with no-balance shafts so as to minimize the vibration that is a common characteristic in a perpendicular six. The flawed engine layout of the Giulia, based on our experience, gives the engine a rough-edged sound without resulting in unnecessary vibration in its structure. Both engines are backed by an 8-speed automatic transmission which transmits power to all the four wheels. The all-wheel-drive system in the Alfa Q4 can channel over fifty percent of the torque of the engine in a forward direction or all (a hundred percent)of the torque to the rear wheels. The Stelvio is basically a crossover that is designed like a sedan, and this is exactly how it looks. The family ties can be seen on aspects of its architecture-for example in its haunches, the daylight opening and the body-side crease that goes through the door handles. The hood and grill seem to be like those parts that are incorporated in the Giulia, only with some variations in the frog-like DNA. However, the extra bulges, cuts and deliberate purposefulness in its rocker panels completely disguise its greater height. The faux diffuser and quad exhaust displayed here are exclusively found in the Quadrifoglio. When it comes to the interior, the car’s preoccupation with performance becomes clear. The driver sits behind a steering wheel that has flat-bottom, and the red starter button is located underneath the left spoke.Those buyers who desire more flair can choose to have shift paddles that are made of aluminum. In the Quadrifoglio, the paddles have puffed-up hand-grips at 2 and 10.There is also red stitching and carbon-fiber trim that match the top-notch door and dash finishes in the Giulia. Those who desire to buy the Quadrifoglio can go all-out and make an order for carbon-fiber sports seats by Sparco. The techno-minded buyers will be enthused by the 7-Inch colored TFT screen ensconced between the speedometer and the tachometer. This is complemented by a 6.5-inch screen meant for infotainment purposes that is located in the center area of the dashboard. Upscale Stelvio is equipped with an 8.8-inch centralized unit. Android auto and Apple Carplay are standard features while handwriting recognition will be incorporated in the car soon after the crossover has been officially introduced. The company has not given details about the launch date or pricing, but we reckon that the price for a base Stelvio will be about $50,000 and about $70,000 for the Quadrifoglio. Sales are projected to commence this fall.